You’re all going to fall head over heels for our new look for J. Reverie Events! This brand design is everything a bridal show host could ask for. J. Reverie Events hosts Baltimore-area bridal shows brimming with inspiration and style; as such, they needed a brand identity that expressed that personality perfectly. A delicate floral logo and feminine pastel color palette are the keys to this soft, pretty brand design—sure to be a showstopper in wedding industry branding. We carried these brand elements into print with custom envelopes, business cards, letterheads, and thank you cards—so J. Reverie will look polished from head to toe. We even added custom stickers to seal branded envelopes, wrapping up a beautiful brand identity. 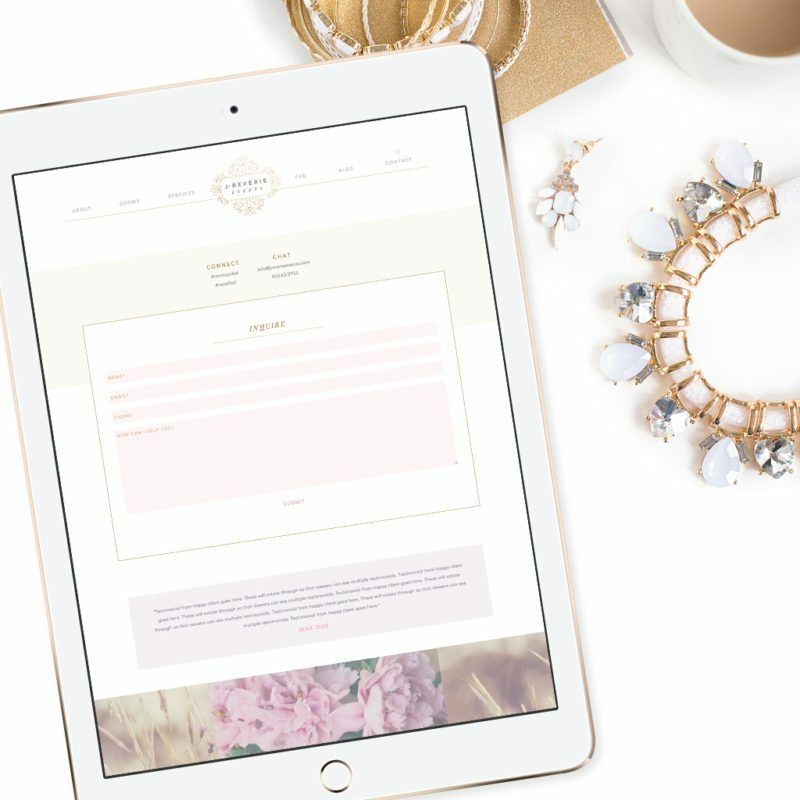 We then expanded J. Reverie’s look to include secondary logos for individual bridal show events; an easily customizable template allows the brand to grow as bridal events are added each year. Finally, we brought the whole picture to life with a customized website design exuding feminine style. Site visitors can easily check out upcoming shows, and make use of planning resources. 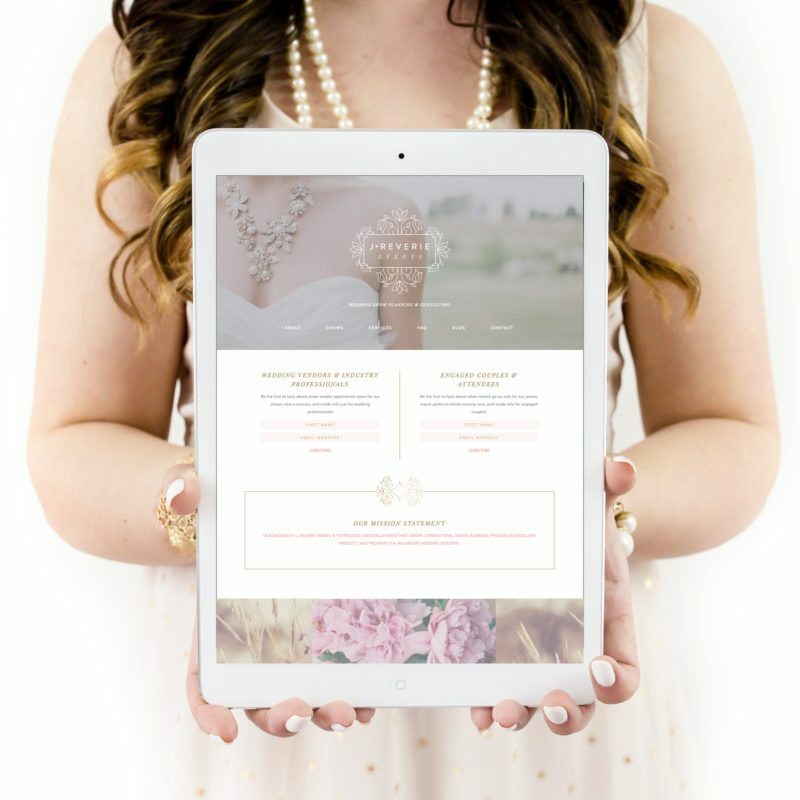 We have a feeling brides are going to fall in love with this online presence and wedding industry branding, and we hope you do too!